Before bed what do you do? Check email, Facebook, Instagram and maybe squeeze in a Netflix episode? That's so me! Hence why I never go to bed at a decent hour!! HA. 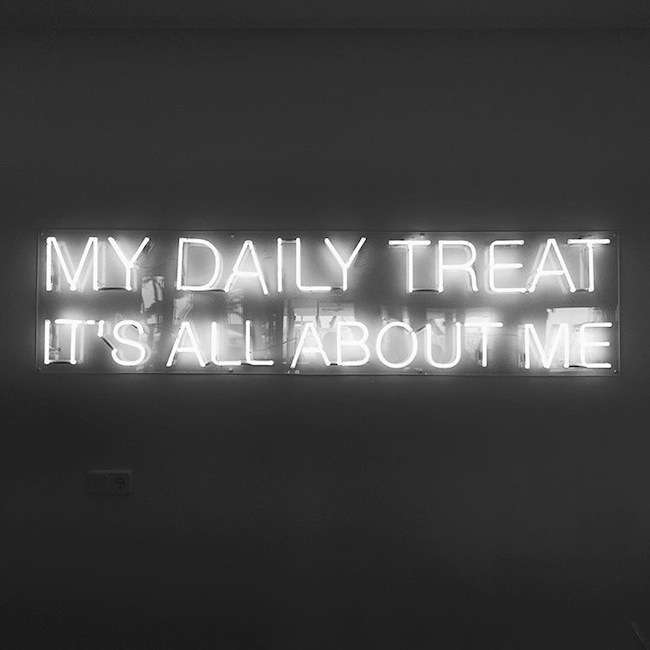 But if I'm going to be dead tired in the morning I should start treating myself to something worthwhile, that will not interrupt my social media bedtime routine...because after all that is my bedtime story! How about a skin care routine? I'm pretty lazy in this department and thus far have done the bare minimum - wash and moisturize. However, I do realize I'm not getting any younger so need to preserve what I got, and started using these two new products. Heard of this line Skin Inc.? They sell it at Sephora. My cousin recommended it to me over the holidays and she swears by it! 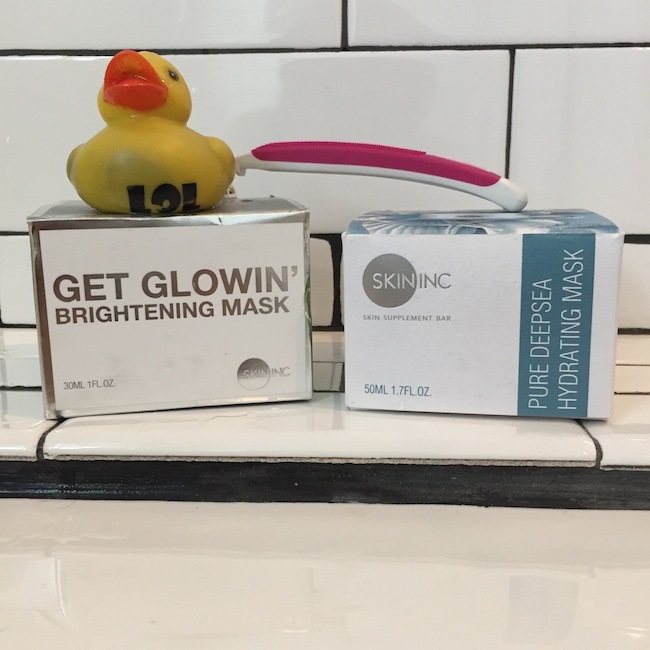 The Get Glowin' Brightening Mask is for pigmentation. It's a mask you leave on for 10 minutes and then have to rinse off. I am in the sun a lot. Even though I do wear sunblock daily, I am not religious about re-applying it through out the day. So I do have freckles. But my mother keeps warning me that I need to get it under control, or eliminate some of the dark spots because with age they will grow. Ok Mom! The Pure Deep Sea Hydrating Mask acts like a moisturizer. It's a mask you leave on while you sleep. It is not gooey, and won't go all over your pillow and make a mess. Believe me! It is transparent, and when applied in a thin layer gets absorbed into your skin, so it doesn't even look like your wearing a mask. The amazing thing is you will feel like sleeping beauty the next morning! When you wash off the mask your skin feels so smooth and hydrated. An instant uplift. I only started using both products in the last week, so I haven't seen the full effectivness yet. But I must say, after just a week of application I notice my pores are tighter and the skin feels supple. That is definitely a nice winter pick me up. I especially am loving the hydrating mask you can sleep with. That really is a no brainer. So why not? I don't see any harm in waking up as sleeping beauty! Do you? 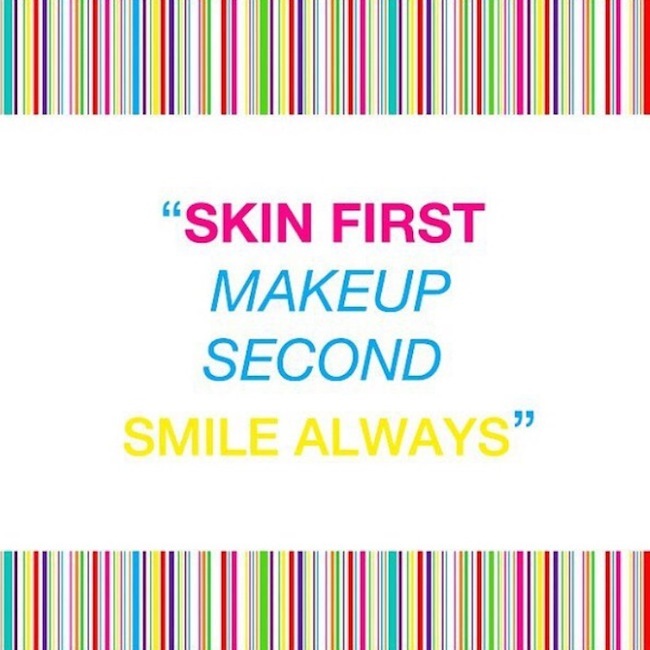 The truth is... if you have good skin, then there is no need for plastics and makeup. So start with the base, and keep this motto in mind to age gracefully. Less is more, and a smile goes a long way. CHEESE!! !